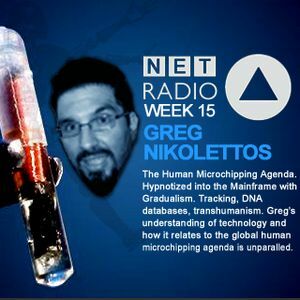 Greg Nikolettos is a writer for We The People Will Not Be Chipped Movement  . A group of Neo Luddites who campaign for privacy and on the irrefutable fact that mankind has inalienable human rights that are absolute and can not be debased, nor perverted. Human life can not be degraded to a RFID chip number embedded under you skin under any circumstance.By uniting on this common ground, we can send a strong message to the IBM funded Verichip that we the people will not be chipped! What if you believe a human should never be treated like inventory? What if you find the the thought of being chipped as degrading , degenerative and of feeble mind ? Do you become the enemy of the state because you will not accept a RFID EMBEDDED into your person? We can say this , the day you accept a RFID Verichip is the day you have sold your human spirit . What have you received in return? Fear. The product they sold you.